April | 2017 | Ellsworth AFB Volunteers! Providing opportunities and information to the Ellsworth AFB members that give back to community. Do you enjoy the many events at Main Street Square during Summer Nights in downtown Rapid City? Then consider being a volunteer. Volunteers are needed to work in the beverage garden at Main Street Square. Volunteers are responsible for serving beverages, handling cash and making change, following cash policies, communicating with staff on inventory needs, and other tasks as requested. Some minor clean up may be required at the end of the event. For more information, call (605) 716-7979 or email Morgan@mainstreetsquarerc.com. WE BELIEVE IN GIRLS! If you do too be a part of the world’s largest organization for girls and help us change the world, one girl at a time. Girl Scouts Dakota Horizons not just about cookies, camps and crafts anymore. We are building girls of courage, confidence, and character who are making the world a better place. Volunteering with Girl Scouts is flexible and can be tailored to meet the needs and talents of our volunteers and girls alike. Current volunteer opportunities include troop leader or co-leader, community center troop volunteers. All volunteers must complete our volunteer application process, including a background check and interview, to become an approved Girl Scout volunteer. 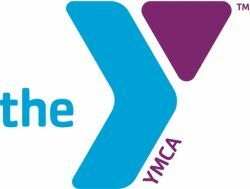 The YMCA of Rapid City is always seeking energetic individuals to assist with group exercise classes. If you are interested in sharing your talents and leadership abilities, please submit an application. For more information, call (605) 718-9622. AAUW seeks volunteers to assist with boxing up leftover books from its book sale and loading the boxes into vehicles. The AAUW book sale benefits women in the Black Hills community. For more information, call (605) 415-5651. The YFS Kids Fair is a fun, three-day event that celebrates children and their families. Kids Fair offers attendees a large variety of hands-on activities, inflatables, mini-train rides, face painting, live entertainment, and more! Last year, Kids Fair hosted more than 9,725 children and their families. Kids Fair volunteers are needed to assist with tickets, line control, staffing attractions, monitoring doors and more. Volunteers are needed to work a four-hour shift (two-hour shifts can be provided upon request) on any or each day of Kids Fair, 28 – 30 Apr 17. For more information, email ddecker@youthandfamilyservices.org. The Habitat for Humanity Restore in Spearfish seeks volunteers to assist in the store. Duties include assisting customers in making purchases and using the point-of-sale software and cash register system to keep accurate records of sales and inventory. Volunteers will practice good customer service by welcoming and thanking all customers. A background check is required. Help build homes, communities and hope by becoming a Habitat for Humanity volunteer! Volunteer duties include assisting customers in making purchases and using our point-of-sale software and cash register system to keep accurate records of sales and inventory. Volunteers will practice good customer service by welcoming and thanking all customers. Background check required. For more information, call 605-717-1882. Can you help the Club for Boys with data input? Club for Boys Rapid City Seeks a volunteer to input simple data into an Excel worksheet. Depending on how quick one is, it could be done in 2-4 hours a week. Days and times are very flexible. For more information, call Carrie at (605) 343-3500. Storybook Island needs your help! Storybook Island seeks volunteers or volunteer groups to help with general clean-up of the park prior to it’s opening. Volunteers are needed from 9 a.m. to 2 p.m. Saturday, April 8, and Saturday, April 22. Volunteers are welcome to volunteer one or both days and shorter shifts are also available. This volunteer opportunity helps to ensure that Storybook Island is clean and ready for its opening on Saturday, May 27. For more information, call Jackie at (605) 342-6377 or email her at jackie@storybookisland.com.